Home » Posts Tagged "vouchers"
There’s always an “unless,” isn’t there? Most committees are subject to strict timelines. For example, the Kansas House and Senate Education Committees (and actually most committees) stopped work on Monday, Feb. 25, because the 26th through the 28th were reserved for time on the floor in order to pass as many bills as possible. But all of this means that if a bill did not come out of one of the four education committees (House Ed, Senate Ed, House K-12 budget, and Senate Select School Finance) on Monday, there was no way it would be considered on the floor and so no way it could pass the chamber of origin. Since those committees are subject to the timelines, any bills not passed technically die. But House or Senate leadership could “bless” a bill – keep it alive for the second half by referring it to a timeline exempt committee – like Appropriations in the House or Ways and Means in the Senate – before adjourning for the turnaround break. And one should never forget that anything can be resurrected in the form of an amendment either on a bill that is now being considered by a committee of the second chamber or on the floor of either chamber. What bills have passed and head across the rotunda? The House has passed and sent to the Senate two bills of interest to KNEA. House Bill 2144 is the community college reporting bill. This started out as a terrible bill placing all kinds of restrictions and requirements on community colleges relating to reporting, tax limitations, and limitations on capital spending. The House Education Committee amended out all the worst stuff and then further amended it with some language requests from the community colleges. The bill now requires demographics reporting by the Board of Regents and public notice of what courses transfer to all regents institutions. You can read the amended bill here. It now goes to the Senate. Senate Bill 9 requires the state to repay $115 million in previously withheld employer contributions to KPERS. The last two years employer contributions to KPERS were withheld in order to balance the budget in the aftermath of the Brownback tax disaster with promises to pay them back over time. This bill has also passed the Senate and is now on the Governor’s desk. The Senate has passed and sent to the House six bills of interest to KNEA. Senate Bill 7 allows school boards to change the timing of the election of school board officers to adjust to the change of school board elections from April to November. Senate Bill 9, repaying $115 million to KPERS (See above). Senate Bill 16 allows at-risk money to be used for evidence-based programs including Jobs for America’s Graduates, or JAG, and Boys & Girls Clubs. We believe this is already allowed and wonder why it is necessary. Senate Bill 71 eliminates the expiration of the postsecondary technical education authority and requires a report to the Kansas Legislature. Senate Bill 128 changes the number of required fire, tornado and crisis drills. Monthly fire drills would drop to at least four per year, tornado drills would drop to at least two per year with one in September and another in March, and at least three crisis drills would be required per year during school hours. Senate Bill 199 creates the AO-K to Work program allowing certain adults without high school diplomas or GEDs to earn a “high school equivalency credential” by participating in career pathways and earning an industry accepted credential. What bills did not make it out of committee? House bills of interest to KNEA that did not go to the floor. House Bill 2071 creating the Proud Educator license plate. This bill was on the House floor for debate but passed over and did not return to debate. House Bill 2166 requiring a financial literacy course for high school graduation (committee actually voted no on a motion to pass it out). House Bill 2183 requiring a computer science course for high school graduation. House Bill 2233 requiring school districts to give every teacher $500 to purchase school supplies. House Bill 2256 establishing the community leadership service act. House Bill 2287 restoring due process for Kansas teachers. House Bill 2288 establishing the student and educator religious freedom of speech act. House Bill 2330, a bullying bill based on one written by Walt Chappell. House Bill 2078, Governor Kelly’s school finance bill responding to Gannon. House Bill 2106, Rep. Jim Ward’s school finance bill responding to Gannon. House Bill 2108 allowing at-risk funds to be used for evidence-based programs (the same bill was passed by the Senate as SB 16). House Bill 2145 re-appropriating unspent special education funds to special education. House Bill 2150 granting a private school voucher to any student who alleges bullying happened. House Bill 2207 putting limits on requirements districts might place on contractors bidding on school construction/repair/remodeling. House Bill 2257, the bullying bill proposed by Equality Kansas. Senate bills of interest to KNEA that did not go to the floor. Senate Bill 47 creating the Student Opportunity Scholarship Act and creating a post-secondary scholarship for a student who graduates from high school at the end of the junior year. Senate Bill 52 restoring due process for Kansas teachers. Senate Bill 148 putting limits on requirements districts might place on contractors bidding on school construction/repair/remodeling. Senate Bill 44, Governor Kelly’s school finance bill responding to Gannon. Senate Bill 142, a two-year school funding fix in response to Gannon. Senate Bill 156, a school finance bill increasing the at-risk weighting. As we have reported here before, SB 22 passed the full Senate on a vote of 26 to 14 and was sent to the House. The Senate version of this bill provides nearly $190 million in tax cuts, most of which go to multi-national corporations. About 25% of the cut in this bill goes to a few individual taxpayers who will be allowed to itemize deductions on their Kansas income tax form even if they can’t on their federal form. Under the Trump tax cuts, many people who used to itemize can no longer do so because of the increase in the standard deduction on the federal tax form. This could result in some Kansas taxpayers paying more in state income taxes. During floor debate, Senate President Susan Wagle (R-Wichita) said the bill benefits “working Kansans” but in reality it does not. Wagle noted in debate that without this bill about 9% of Kansas individuals are wealthy enough that they can still itemize under the new federal law. If SB 22 were to pass, another 9% of Kansas individuals would benefit from itemizing on their Kansas taxes. Those individuals would be a higher income levels. In other words, 82% of Kansans would get no benefit at all while multi-national corporations would. The bill was amended in the House Tax Committee to include a one-cent reduction in the food sales tax and a new provision that would require all online vendors to collect and remit Kansas sales tax once they hit a threshold of $100,000 in sales in Kansas. This amended version of SB 22 now goes to the House floor and will likely be taken up shortly after legislators return on March 6. KNEA strongly opposes Senate Bill 22. Kansas is now on the road to recovery after the disastrous impact of the Brownback tax policies. This is not the time to be considering another massive corporate tax giveaway. We urge all Kansans to contact their representatives and tell them to vote NO on Senate Bill 22. Use the link below to contact your legislator. Let’s balance the budget, fund our schools, fix our foster care system, mend our corrections department, and fund our highway program. These are our shared priorities. A solid week of bullying bills! This is turning out to be the week of the bully under the dome. It started with a Valentine’s Day hearing on HB 2150, a bill that allowed any child who reported bullying – just reported it; it didn’t have to happen to him/her and it didn’t actually have to happen at all – to be offered a voucher to attend a private school where, we guess, bullying must not happen. 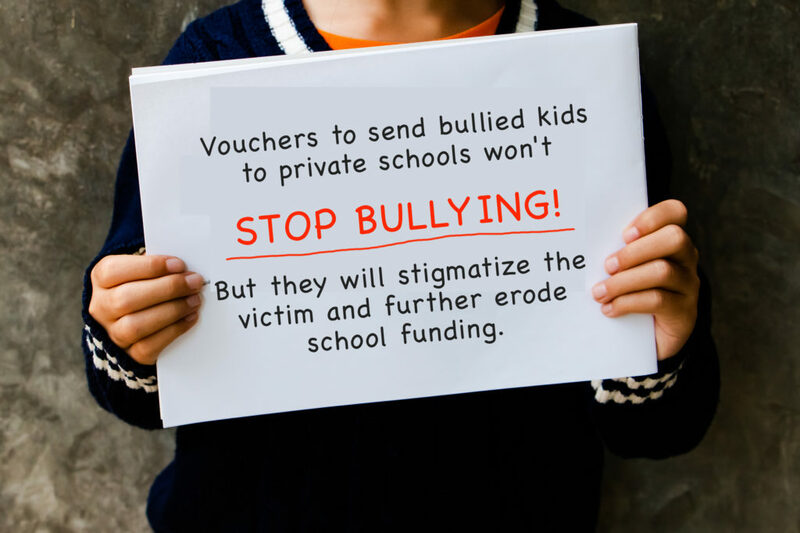 Okay, it wasn’t a bill to address bullying, it was a bill to create vouchers. Now this week, we have hearings on two more bullying bills. One, HB 2257, was drafted by Equality Kansas, an advocacy organization for LGBTQ Kansans. Equality Kansas took the time to confer on their draft with education organizations including KNEA and was receptive to suggestions resulting in a bill that is generally considered the best one out there at this time. The second bill is HB 2330. This bill was based on the infamous Walt Chappell drafted bill that was so much overkill that even advocates for stronger bullying laws opposed it. The bill was given to freshman Representative Mark Samsel (R-Wellsville) who worked to purge it of some of the more onerous provisions. 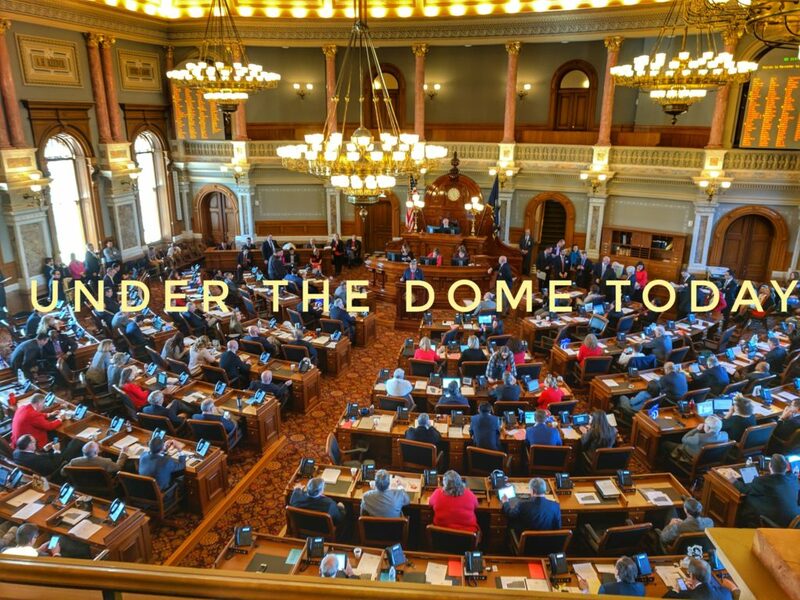 Samsel has also reached out to KNEA, KASB, and USA for input in the hope of creating something that everyone can agree to – perhaps a melding of HB 2257 and HB 2330. Complicating the problem is that the bills are having hearings in two different committees! KNEA opposed HB 2150 for what it is – a voucher bill. We are appearing neutral on the other two and encouraging legislators to deal with this issue as they did with the other perennial issue, dyslexia. Last year, with the leadership of Rep. Brenda Dietrich (R-Topeka), a controversial dyslexia bill was transformed into the establishment of a task force made up of teachers, administrators, State Board members, parents, legislators, and advocacy organizations. The Dyslexia Task Force met over the summer and fall and managed to collaboratively develop a set of recommendations – unanimously adopted by the members of the task force – that will hopefully satisfy all of the interested parties. We believe the same process should be used to come up with a solution to bullying that helps schools, protects students, and deals with the underlying issues. HB 2257 had a hearing today; HB 2330 will get a hearing tomorrow. And that voucher bill, HB 2150? It is scheduled for a vote in committee tomorrow. Since budgeting, spending, and taxes are all intertwined, we thought it best to let you know where things are as of today. The mostly corporate tax giveaway, SB 22, has passed the Senate with 26 votes and is getting a hearing in the House Tax Committee today and tomorrow. It reduces revenue by nearly $190 million. Both the Senate and House Tax Committees are hearing bills this week to lower the food sales tax rate. Lowering the rate by one cent, from 6.5% to 5.5% would cost the state about $60 million. The Senate has also passed SB 9 which would require the state to immediately pay back $115 million in funds delayed to KPERS. This bill has had a hearing in the House Appropriations Committee and was voted out of committee favorably. It awaits action in the full House probably this week. It represents a reduction of $115 million from the treasury which would make the budget harder to balance. Governor Kelly had recommended the re-amortization of KPERS in order to lower the immediate costs and help balance the budget. Her re-amortization bill was soundly defeated on the House floor. So lots of things are happening that will make it more difficult to balance the budget and meet the priorities for Kansas that Governor Kelly highlighted in her state of the state address – funding schools, repairing the foster care system, hiring correctional officers to end the crisis in Kansas prisons, and expand Medicaid to provide health insurance to 150,000 uninsured working Kansans. We are approaching the half-way point of the session. There is much still to be done! When is a bullying bill not a bullying bill? When it’s a voucher bill instead! Today in the K-12 Budget Committee, Chairperson Kristey Williams held a hearing on a bill which purports to help victims of bullying, but which really advances a voucher scheme. According to many advocates who track these bills, this bill was born from the American Legislative Exchange Council (ALEC) a conservative think-tank and driver of conservative policy and was recently passed and put into law in the “sunshine state” of Florida. Like the Floridian version of the bill, this bill is entitled the “Hope Scholarship Act” and its proponents – including legislative sponsors Renee Erickson (R-Wichita) and Susan Humphries (R-Wichita) – believe that it would give families a choice to transfer bullied students to both public and private schools. Proponents included the bills co-sponsors as well as lobbyists from American’s for Prosperity, the Kansas Policy Institute (both Koch-aligned “think tanks” and the Kansas Catholic Conference. 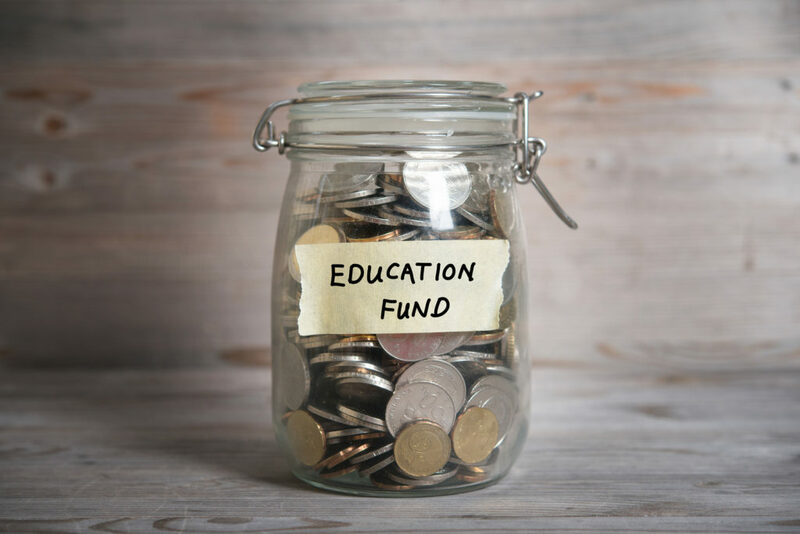 In its current form the bill, HB 2150, would allow students to receive up to 96% of base aid for the purposes of leaving their current district and moving to a new school. In order to receive this “voucher” students only need to report that they believe bullying has occurred; they don’t actually have to have been the target of a bully. The district where the report was received would have 15 days to offer those students the voucher option. There would be no requirement that the alleged bullying actually took place – the report is sufficient to trigger the voucher. The opponents of this bill pointed out its many flaws. Chief among them is the fact that the bill does nothing to address the root cause of bullying, leaves the bully in place to victimize others without any intervention services, all while sending the message to the bullied student that the only way to solve their bullying is to ship them out. Ironically, the bill does pay for the victim’s bus fare off campus as there is a provision to include transportation costs for the student to get to the new school. As the opponents outlined a litany of concerns, other committee members asked the bill co-sponsors if it was possible that a private school could – in fact – tell a bullied child, “we don’t want you,” and deny admission even with a voucher. After responding with a conflated argument about schools’ rights to tell students how they may or may not dress, it was agreed that private schools could – for example – tell bullied LGBTQ kids that they are unwanted. A very impassioned plea came from Liz Meidl representing the Mainstream Coalition who carries significant expertise in SPED research and the effective application of SPED programs in public schools. She shared a story of a student who was essentially told by a private Catholic school in Wichita that she was no longer welcome as a student at the school. Rep. Brenda Landwher questioned Ms. Meidl first suggesting and then openly accusing her of making an “insulting accusation” about the Wichita Catholic Diocese. Landwher went on to say that she would be shocked if a Catholic school had unfairly treated any children, let alone the child in this particular anecdote. We would ask our readers to educate yourselves on all bills that impact education policy, because many – like this one – sound good in title, but really carry a different purpose entirely. Hiding a voucher bill within a bill which purports to address issues of bullying where the resolution of the issue is to send the victim away simply empowers the bully and stigmatizes the target. We support providing adequate and equitable resources for our schools, educators and parents of both the victims of bullying and the bullies themselves rather than shifting more dollars to private schools via another voucher scheme. And if you read about a “school choice” program, remember that this is exactly what it is – the school gets to choose the students they will take, not the parents. There will be another, more rational bill to address school bullying issues up for a hearing next week. KNEA was joined in opposing this bill by KASB, United School Administrators, Schools for Quality Education, the PTA, Game on For Kansas Schools, the Mainstream Coalition, Equality Kansas, the Kansas Council for Exceptional Children, Olathe Public Schools, and Basehor-Linwood Public Schools. House Bill 2197, Governor Kelly’s proposal to re-amortize KPERS in order to bring down the required payments by spreading them out over additional years (remember – it’s like refinancing your home loan) was debated on the House floor this morning and defeated on a vote of 36 to 87. All Republicans were joined by Democrats Tom Burroughs (Kansas City), Henry Helgerson (Wichita), Tim Hodge (Newton), and Jeff Pittman (Leavenworth). Elizabeth Bishop (D-Wichita) and Greg Lewis (R-St. John) were absent. During debate, three amendments were offered, none of which were adopted. And amendment by Rep. Pittman to add a three-tiered cost of living adjustment for current retirees failed on a vote of 49 to 73, getting 10 Republican and 39 Democratic votes. Another two-tiered cost of living amendment was offered by Rep. Dave Benson (D-Overland Park) but failed on a vote of 48 to 75. A third amendment offered by Rep. Cindy Neighbor (D-Shawnee) would have immediately put $115 million into KPERS as in the recently passed Senate bill but was ruled non-germane on a challenge by Dan Hawkins (R-Wichita). Republicans voting to support both cost of living amendments were: Ken Corbet (Topeka), Tom Cox (Shawnee), Diana Dierks (Salina), Brenda Dietrich (Topeka), Ronald Ellis (Meriden), Ron Howard (Wichita), Jim Karleskint (Tonganoxie), Fred Patton (Topeka), and Tom Phillips (Manhattan). Democrat Henry Helgerson (Wichita) voted no on both. All other Democrats voted yes (Elizabeth Bishop was absent). Republican Bradley Ralph (Dodge City) voted yes on the first COLA amendment and no on the second. Republican Greg Lewis (St. John) was absent. Actions by both the House and Senate have put Kansas in a difficult place when it comes to financing the priorities of the state – education funding, Medicaid expansion, repairing the broken foster care and prison systems, and restoring the highway fund. Senate actions on Senate bills 22 and 9 would take about $307 million out of the treasury before the budget has even been considered. Now the House has refused the re-amortization proposal which would have saved money in the treasury. These issues still have a long way to go before they are finally resolved – luckily we are a bicameral Legislature and it takes action by both chambers to make something happen. Keep watching and be ready to take action when we need you to!